Each generation faces unique questions and challenges about how to best prepare for the future. You know how hard you’ve worked to build the assets you have today. Protect and grow your wealth by partnering a local company that will work hard to understand your goals and maximize your investments. Baker Wealth serves customers from all walks of life, so call today to see what we can do to help you prepare for your future. Portfolio Management – Our investment strategies use sell-side disciplines to protect client assets. We can help you match your investment strategy with your goals. Planning for Retirement Needs – We’re ready to help clients prepare for retirement by developing an income plan and distribution strategy that maximizes income and minimizes taxes. Additionally, we can facilitate 401K and IRA rollovers and consolidations. Legacy Planning – You know how hard you’ve worked to build wealth. Are you comfortable with the ins and outs of how it will be passed to your heirs? Everyone wants a strategy that will leave a legacy and minimize taxes. Baker can help you do this via several avenues including setting financial goals, life insurance strategies, and estates. Planning for Bankruptcy, Aging Family Members, and other Special Situations – When special circumstances arise, you need to be prepared. You never know what is just around the corner. 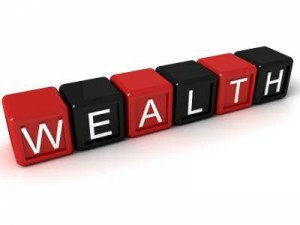 Are you ready to take control of your future by leveraging wealth preservation strategies? Call us today at (812) 842-2254 and speak with one of our experienced team members. We can help you set financial goals today for a brighter tomorrow.